How to install CMS (like Wordpress and Joomla)? < How to install CMS (like Wordpress and Joomla)? Search for the CMS you want to install, for example wordpress. This will open a screen with several options displayed. You will see a screen with Install, Overview, Features, and Import. Click on the Install link. 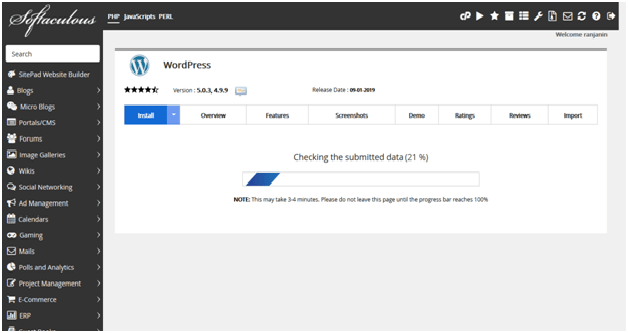 Softaculous will check the submitted data and install the files to your server for your selected CMS. Visit your website in your browser. You should see a new WordPress install.